We help busy women age 40 & above gain control over nagging aches & pains and improve their health, energy level, & quality of life WITHOUT medication, injections, or surgery! Women in the “sandwich” generation who want to take care of their own health while balancing the demands of raising children and/or grandchildren AND caring for their own aging parents. Women with fibromyalgia, rheumatoid arthritis, and other chronic pain disorders who want to be able to enjoy activities with family and friends without worrying if their pain will stop them. People who value their health and want to relieve pain naturally without pain medication or surgery. Busy working parents who want to be more active but don’t have much time to exercise due to work and parenting duties. Grandparents who know that playing with their grandchildren is easier and more enjoyable when they have less pain and stiffness. People who have daily or weekly headaches and want to decrease their pain and increase their mental focus and productivity at home or work. People who feel fatigued during the day and want to sleep better and have more energy. Office workers who spend a lot of time sitting and want to be able to make it through the work day without back pain, neck pain, or headaches. Dr. Dave Candy is St. Louis’s leading expert in helping women age 40 and above gain control over nagging aches & pains and improve their health, energy, & quality of life. Dr. Candy has been a physical therapist since 2008, and shortly after starting into practice, he realized that there was a group of “complex patients” that failed to find pain relief despite having other treatments including pain medications, chiropractic, massage therapy, traditional physical therapy, injections, or even surgery. Dr. Candy sought out on a mission to learn more about how to offer help to these “complex" patients even after they have been unable to find pain relief from other treatments. 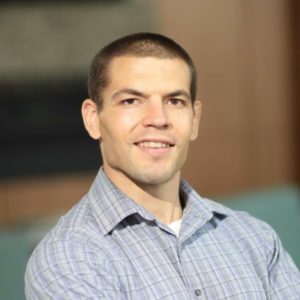 From 2010-2012 Dr. Candy completed a 2 ½ year fellowship in orthopaedic manual physical therapy, and then in 2015 he further continued his education gaining certification in dry needling. During this same time, Dr. Candy did a lot of independent study to learn more about the science of pain and why we experience it the way we do. Through this process, Dr. Candy became increasingly frustrated with the direction of the healthcare system in our country in that it encourages medical providers to spend less time with their patients and just treat the immediate symptoms rather than taking the time to find out the root cause of patients’ problems. Dr. Candy now uses not just "physical" therapy, but rather, he takes a unique whole-person approach to treating pain that takes into account each patient’s specific needs, goals, and values. He takes time to truly listen and analyze the problem in order to determine the root cause of the pain so that he can help his patients not just relieve their pain in the short term, but learn how to keep it from coming back so that they can live active, happy, and healthy lives for years to come. Are You Ready For A Happier, Healthier, Less Painful Life?